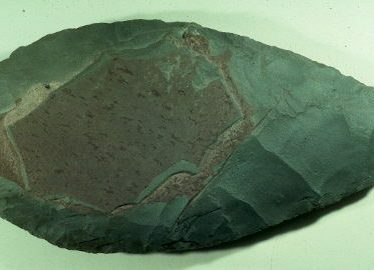 Palaeolithic handaxe found in Warwick. 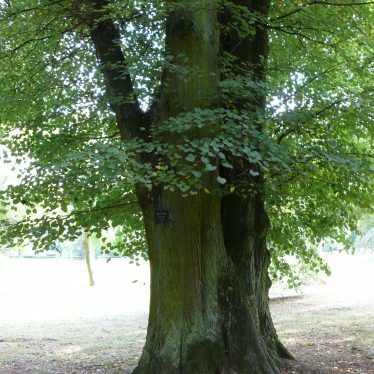 Findspot - a Palaeolithic stone handaxe was found in Priory Park, Warwick. 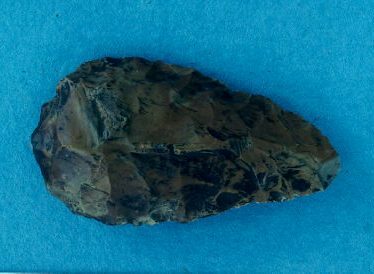 Findspot - a Palaeolithic handaxe and two flint flakes. The exact location from which the objects originate is not known. 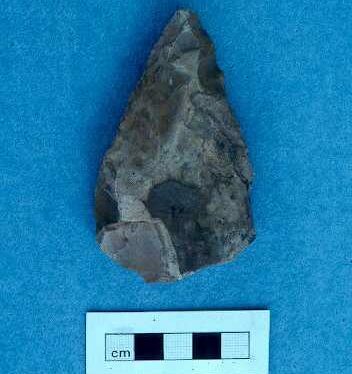 Findspot - a Palaeolithic handaxe was found in the area of Welford-on-Avon. 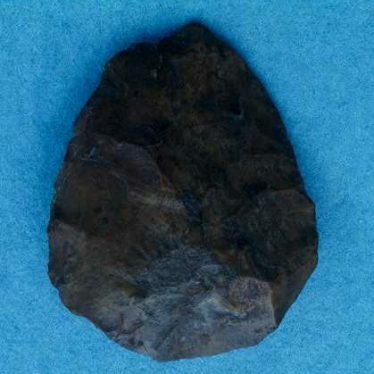 Findspot - four Palaeolithic handaxes, a pebble tool and a scraper were found in a river channel 1km south of Bubbenhall. The finds suggest that this was a pre-Anglian Lower Palaeolithic occupation site. Findspot - two fragments of worked flint, probably of Prehistoric origin, were found in Tiddington Road, Stratford upon Avon. An assemblage of worked flint was found on Sunrising Hill. A series of flint objects found North East of Glebe Farm during metal detecting. A group of linear crop marks can be seen on aerial photographs on either side of the Combe Abbey 12 O' Clock Ride 600m to the south of the B4027. A number of features visible on aerial photographs were mapped as part of the National Mapping Programme. They include a rectalinear and subcircular enclosure. A series of enclosures, and linear features (probably trackways) are visible on Google Earth imagery, to the south-east of Newbold-on-Stour. Probably of prehistoric date. This map shows markers for every photo, article, historic site and catalogue record within the Palaeolithic category.